And, that's all I have to say about that. Personally, that's how I would've installed them. Why do you want to see ugly looking controls on the top? 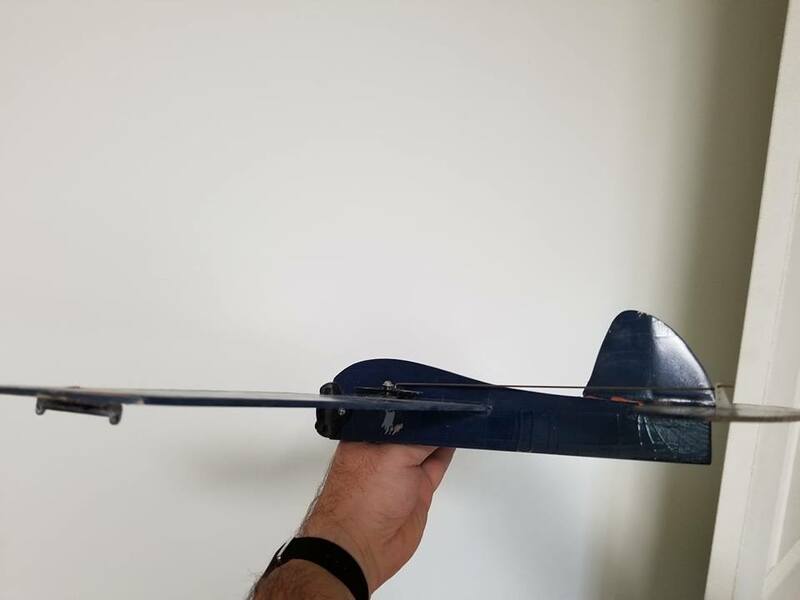 All of my combat wings have them on the top, essentially what happens is that the vertical cg is off and the inboard wing rolls inboard which is not a good thing. In order to resolve this, I try and sink the bellcrank into the wing a bit. This helps but still doesn't stop the inboard tip flying low so I usually just warp the wing or thumb the trailing edge up a bit. Many just add more tip weight to drop the wing which makes it fly level but not good in the maneuvers. This won't have that kind of affect on your plane and I personally would continue on as it looks better regardless of how the original was built. Ken took the words right outta my mouth. Bob, I see nothing wrong with "personalizing" a kit a little bit. Neither one of us stuck strictly to the Mossie builds, did we? You do have the cockpit and the rudder on the same...up on top. The plane will fly regardless of which side the controls are on. Ah, My repair was successful to the casual eye. A more reveling picture perhaps. The clockwise/counter clockwise - Bob - Dizzy in another direction. I seen it now. Once I zoomed in on the phone, I got the point. Yes, that is a good repair! 944_Jim wrote: I seen it now. Once I zoomed in on the phone, I got the point. Yes, that is a good repair! Yup, pretty stupid. Imagine my shock when I turned it over next to my original BR. My first thought, fly it as is. Never did that before so I dug out the button and sliced off the guide. Drilled another hole for the button, risking punching through the top of the wing. 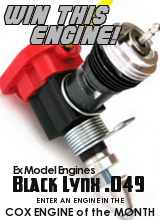 I still have some hardware to install and bench test a couple of engines and find a couple of wheels. May have it ready by Sunday. Yeppers. Missed that too, especially now that you show the repairs. Good job on the plane and repairs. Over the years I've learned if there is a 50% chance of getting a part installed wrong I will get it wrong 90% of the time. Go figure. I always say that when hooking up the lines, I have a 50% chance of getting it correct, but it seems like every time I hook up the lines, the handle is backwards. Thanks guy's, I'm not alone. CB, I refer to myself frequently as 50/50 Bob. If there is a 50/50 chance of anything (witness above) there is a 100% chance that I will get it wrong. Gotta love Chancy's over/under though. And that handle thing, I have done lots of swaps in the past. Not sure how I did it, getting the lead out/bell crank on the wrong side. Don't remember, but I must have thought about it. Anyone actually flown C/L clockwise? Just thinking about it make me cringe. Maybe for southpaws? One more thing. Look at that tail moment between the two. Both fuselages are about 9 3/4" long. New BR looks like a little hot rod. Big difference in the way the tail assembly is positioned and mounted. Old BR is from a kit I built in 1967. You fly clockwise inverted, nothing to it. I'm pretty fortunate as I'm a lefty. I injured my tendon which required surgery on my left elbow years back. This had me switch handing as I was in a cast for nearly 14 months. I now fly with my right hand but pretty much use my left . The problem I have been faced with lately is when I get to the handle, I don't know which hand to use. This has caused me to be confused . I can fly stunt left handed no problem, but combat gets me a bit nervous and I bail out and use the right. There's quite a advantage to using the left in combat and my son also a lefty shows them how it's done. I hope that was a typo Eric, but I got a laugh out of it and it fits me way too may times. Why do you refer to under-wing controls as wrong? Is it because of the Ringmaster's original design? It's not wrong with respect to flyability, as Ken mentioned and I concurred. The plane is much lass likely to fly into the circle whenever you do a loop... and don't say you don't do loops, you need to add that to your list of things to learn... but the same is true of whenever you must make a quick save with a radical course correction. It's a trim issue they may not have considered back in the '50s. Particularly with a metal bellcrank. Lightweight plastic, probably not so much as all the hooplah I'm stirring up. The only real reason I bother to mention it is because the vertical C/G is something many modelers don't know about, and I'm here to spread the word, brother! 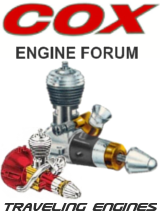 RknRusty wrote: The plane is much lass likely to fly into the circle whenever you do a loop... and don't say you don't do loops, you need to add that to your list of things to learn... but the same is true of whenever you must make a quick save with a radical course correction. It's a trim issue they may not have considered back in the '50s. Particularly with a metal bellcrank. Lightweight plastic, probably not so much as all the hooplah I'm stirring up. The only real reason I bother to mention it is because the vertical C/G is something many modelers don't know about, and I'm here to spread the word, brother! Hey there Rusty, errr, Roosty... You now have me doing a big head scratch here with the above quoted statement. I don't personally do loops, and if and when I do, they start as a tight inside loop, but from my point of view they are in all honesty a figure 9! So if you are up to it by explaining and typing it out, I would love to hear the reasoning and or why this is the way things are. I never heard of this before, and am willing to learn. Thank you. Sure, that definately makes things more clear than any ideas I had before. It is something I had not honestly ever thought about before. Thanks for taking the time to help explain that. For the sake of clarity, Jim's example is exaggerated, and that's a good tool for understanding what's happening. When I was in engineering technology school(Devry U. ), I learned that when I couldn't quite grasp a concept, to imagine it in absurd extremes and it suddenly becomes clear. As a teaching aid, Jim saved me a bunch of pounding on the keyboard... thanks Jim, very good teaching moment. There are other things on various configurations that cause a plane to hinge as the illustration shows. 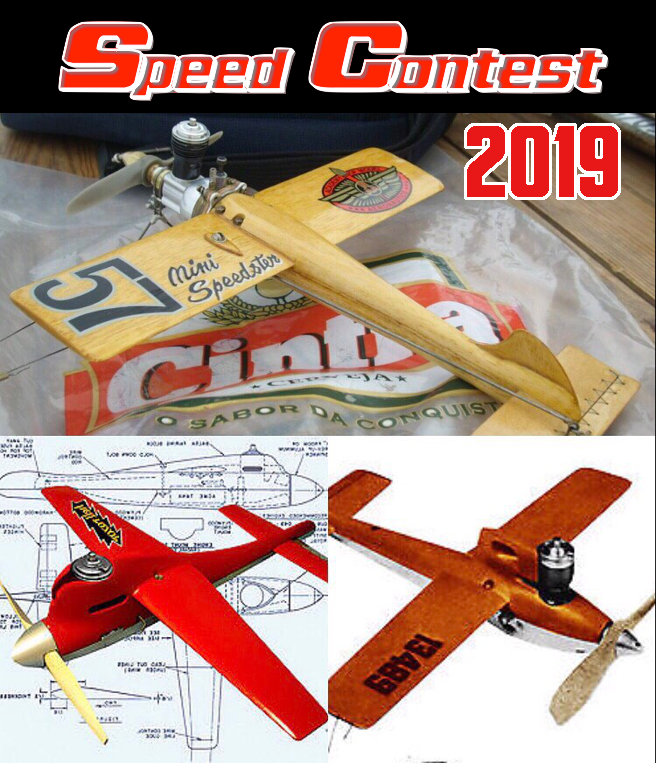 Wheels are too light or heavy, struts too long; tail wheel weight; heavy muffler hanging off to one side; cylinder position; fuel tank weight(full or empty) skewing the vertical C/G; rudder weight; big wood canopy; tip weight; leadouts/controls too high or low; etc. It can vary depending on the layout of everything in the plane's architecture. Everyone knows to hang it from the leadouts(in neutral) and check the yaw axis, desiring a slightly nose down attitude. That's not all you can and should check while hanging it from the leadouts before the maiden flight. Find something hanging plumb in the background, turn the plane so you are looking straight on at the nose and lead edge of the wing. Is the LE plumb, parallel with your reference? It can be a shed post, doorjamb, plumb bob, anything. Not plumb? Oops, when you snap a turn, it's likely to hinge in the direction you are observing now... your vertical C/G(rolling moment) needs adjusting, or it may act like it has a mind of its own, which can cause loss of control. Try changing the weight or configuration of all the things I just listed, and more if you see anything else it could be. 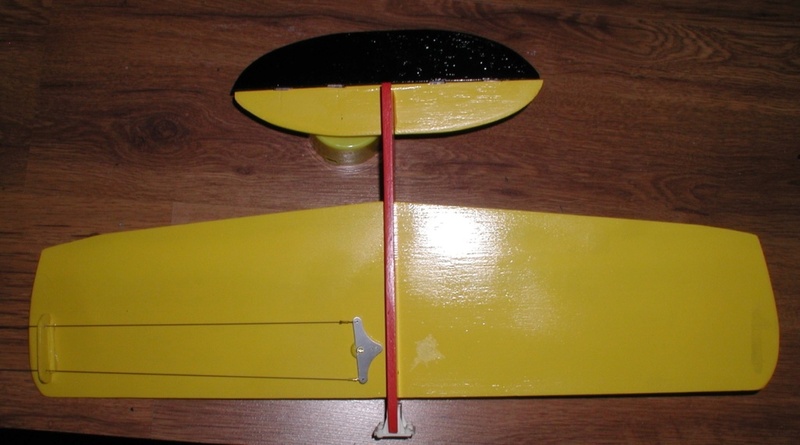 Use your imagination to figure out how to shift weight to get that wing hanging straight up and down. It can make a radical difference in how well the plane grooves so it goes where you point it. 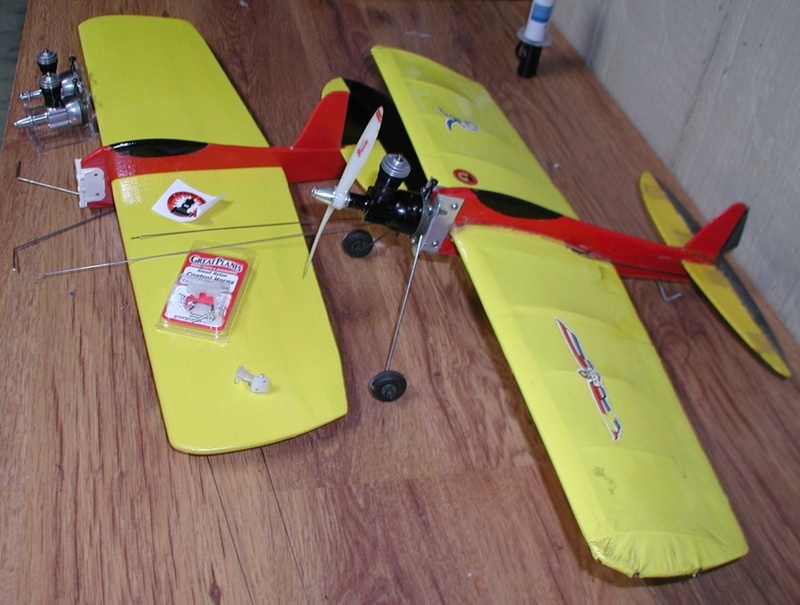 People make the mistake of trying to correct hinging by twisting wings and flaps, adding trim tabs, needlessly adjusting tip weight(though it can play a part too) and never address the real hinging problem, while compounding or inducing other trim problems that get so complicated you may never get it to fly right. Get it right before the maiden and maybe it'll fly right off the table... yeah, good luck. Watch my show and you learn stuff like this. 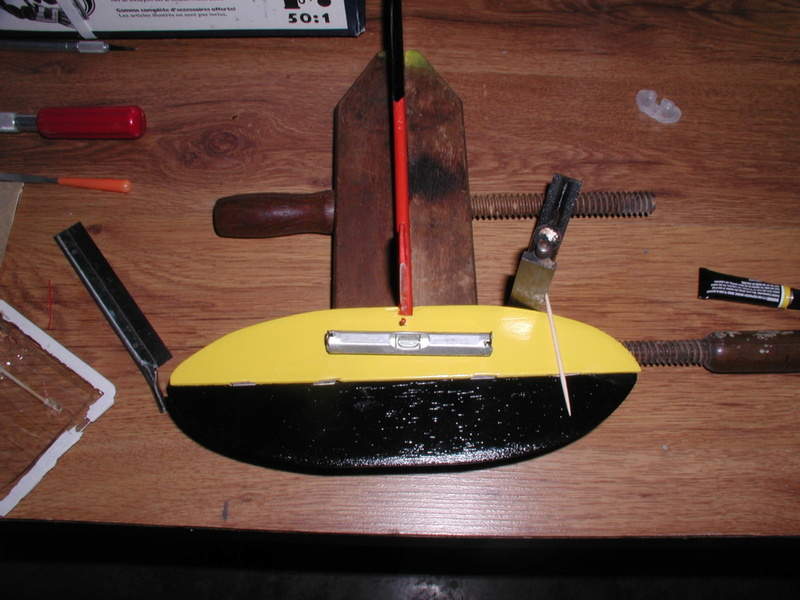 PS: never put a trim tab on a flap... unless the flap is clearly warped, and then when you get back to the shop, fix it or make a new one. 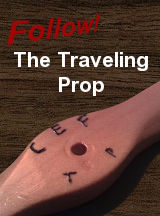 If you really need a tab, put it on the wing TE, right in front of the flap-hinge line. I always carry an assortment of aluminum angles in my flight box for testing and tuning. NEW222 wrote: Hey there Rusty, errr, Roosty... You now have me doing a big head scratch here with the above quoted statement. I don't personally do loops, and if and when I do, they start as a tight inside loop, but from my point of view they are in all honesty a figure 9! So if you are up to it by explaining and typing it out, I would love to hear the reasoning and or why this is the way things are. I never heard of this before, and am willing to learn. Thank you. Chance, do not pull full up to start a loop. This bleeds off way too much energy and can also stall the lift on the elevator. With the wind at your back, pull enough UP to begin a climb and let the engine pull it up into a high smooth turn, but making sure it continues to climb. Add a little more UP as it approaches and passes through the top. Start easing in more up until it's in a steep dive and now give it full up if it needs it, but try not to yank it or, again, you can stall the air off the elevator. Level off and breathe. If you want to do two or more loops, then back off the full up as it passes through the bottom and ease it up up up and over the top, saving your momentum just as you did the first one. Let it climb high and over before you start adding more up to get it through the bottom which is where you may need full up. After about 5 or 6 loops the lines could start getting stiff, so fly it out and land. Then learn to do outside loops so you can unwind it.. It wasn't intended to be misleading, but it was. 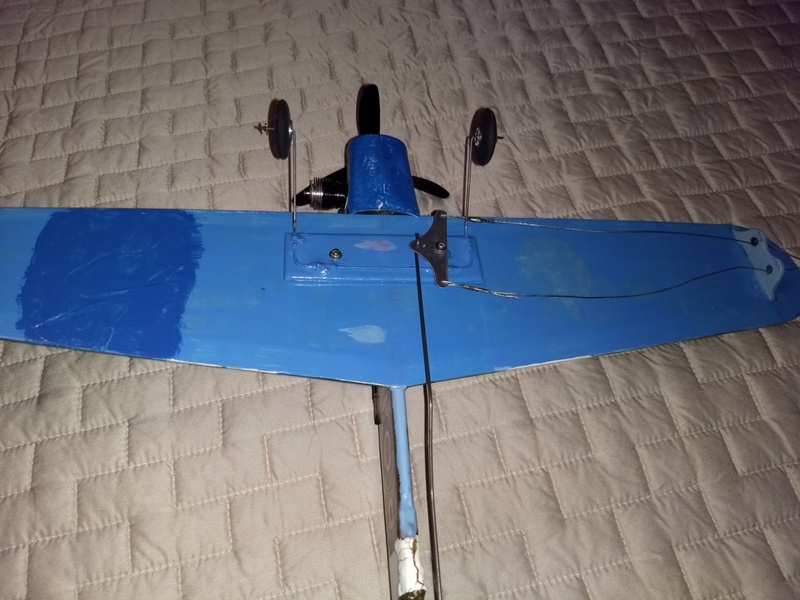 It was never about placing the bell crank and lead outs above or below the wing but to demonstrate how dumb/inattentive I was for placing the controls on the wrong side of the fuselage. The repaired images are quite clear but lost definition when when I posted them here. A better picture would have been this one. But it did stimulate Rusty's and Jim's tutorials so all was not lost.